The Marty Leonard Chapel is a lovely venue for a wedding, worship service or inspiring event. The architect was E Fay Jones. 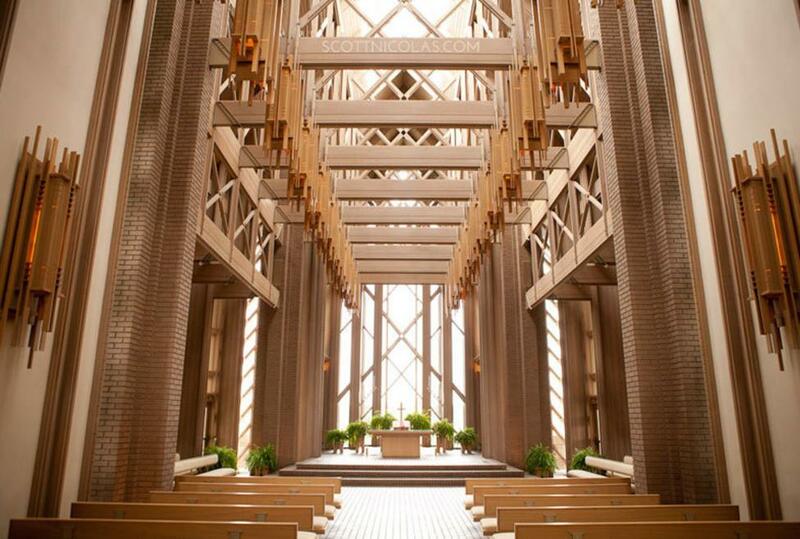 Jones described his Chapel design as an "instrument for nature’s music as light and shadows move and change throughout the day." 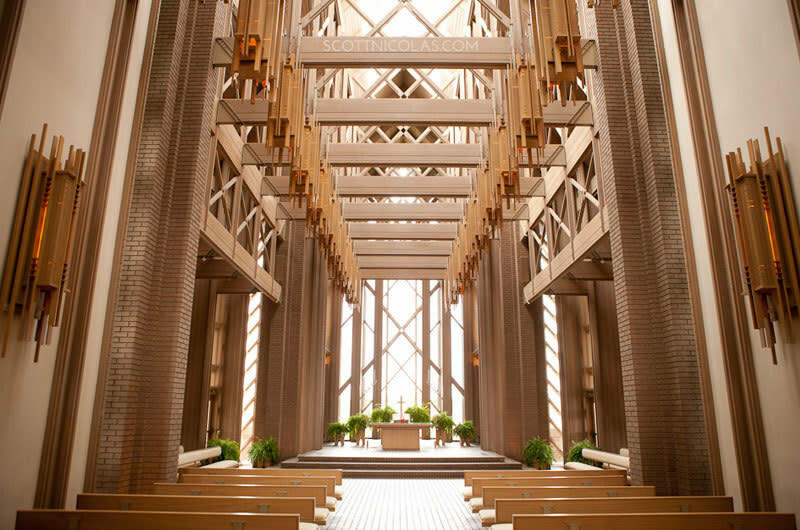 The interior of the Chapel inspires and fulfills the goal of Jones' design - that visitors will "think their loftiest and best thoughts." The chapel is named for Marty Leonard who has been an advocate and supporter of Lena Pope for many years. Marty’s parents played an integral role during the early stages of Lena Pope’s development, and Marty continues that legacy today.